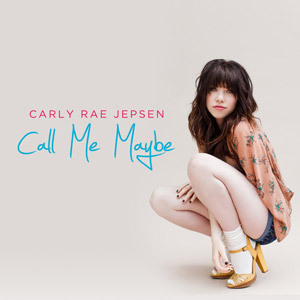 Here's a song that's #1 on the Ultimate Chart and a top 5 on the Billboard Hot 100 by Canadian singer Carly Rae Jepsen called "Call Me Maybe" from her album Curiosity. The song was originally written as a folk song, but later became the pop that it is thanks to producer Josh Ramsay. After both Justin Beiber and Selena Gomez tweeted about the song, it took off and became a world-wide hit, going to #1 in 11 countries. The song has sold nearly 2 million copies and is still going strong. To add more time to the song since it's so short, each chorus is repeated with just a few of the lyrics changed. Speaking of the lyrics, they fit the song well and are written around a single sentiment that most people can relate to - giving your number to someone you're attracted to. There's not much of a story, and it almost seemed like the lyric writing was rushed since it feels very incomplete, especially the bridge. The arrangement on "Call Me Maybe" is interesting for a couple of reasons; first of all, there's really not a bass instrument that can be easily heard. The low end is supplied by what sounds like a synthesizer, although a bass could be in the mix but mixed down pretty low, or it could even be a baritone guitar. Which brings us to the second point. The main instruments (strings hi and low, guitar chords, bass synth) are playing the exact same figures throughout the 2 sections of the song. In fact, I keep waiting for the bass to break out and play a walking line or counter figure, especially after the snare fills during the song, but it never happens. The song starts with two bars of eighth note string hits (it almost sounds like it could be a sampled guitar), which is joined by a quarter note kick drum (4 on the floor), the lead vocal, and either a guitar or another synth playing a lower part underneath the opening strings. Halfway through the verse the high hat, stereo harmony vocals, and a guitar playing a lower string pedal enters. On the chorus the vocal is doubled, a new bigger kick sound is introduced along with an exploding snare sample, and a new string line doubled with a guitar enters. When the chorus repeats, a second guitar enters on the right playing chords and a different guitar enters on the left playing a double-time line to add some movement to the song. On the second verse, the hat pattern is slightly different and a soft snare enters. There's also a bass synth/baritone guitar from the chorus that continues to play. The vocal now has a harmony above it, but it's in mono instead of the spread stereo of the 2nd half of the B sections. The Bridges are interesting in that they're basically a chorus with different melody and a guitar counter line. There's a hard ending to the song but it's done fairly cleverly with slow-down, pitch-down of the existing instruments to give the song some finality. * The Rhythm: high hat, guitar in the second half of the chorus push the song the most. Strings, bass synth and guitar chords push it less. The sound of "Call Me Maybe" is very in your face, especially the vocals. The only ambience is the short stereo room on the strings, and a long timed delay on the fill guitar in the bridge. The harmony vocals of the verse and chorus are doubled and spread left and right, and the guitars in the chorus are mono and panned to the left and right, but most everything else is mono and panned to the center. As is the case with most pop songs today, this one is fairly compressed, especially the vocals. You can sometimes hear the compressor pumping on the vocal, and it sounds like there was a lot of sibilance that was attenuated with a de-esser, almost too much since you sometimes can't distinguish the "S's" in the song. For a song that has just 2 1/2 sections (if you count the bridge/chorus), it does develop pretty well dynamically-speaking. If you listen closely, you can hear the instruments enter and exit especially from the beginning of the song until just after the first bridge. Sometimes it's subtle, but there's always something new happening to capture your attention. The vocal performance by Carly is especially strong as it varies just enough to keep the melody from being boring, yet never sounds forced. In fact, you could say that it even carries the song, which is exactly what you want in a pop song. Send me your song requests. 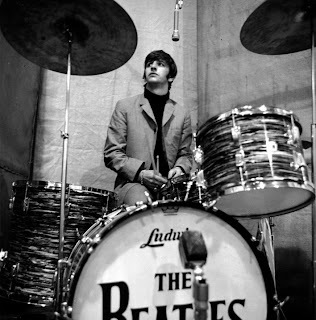 Ringo with a 2 mic recording setup for "Beatles For Sale"
Last week we talked about how to go really old school and record the drums with a single mic. Today we'll come into the future just slightly and look at how it was done with 2 mics. This was the sound of many of those great hits from The Beatles, Led Zeppelin Beach Boys, etc., at least in the beginning of their careers. 1) Place the kick drum mic about a foot away from the outside of the front of the drum (it doesn't matter whether it has a front head on or not). Place it at about the height of the beater and aim it towards where the beater hits. 2) Place the overhead mic over the center of the kit (where the rack tom or toms and the snare meet) at height of just a little over the top of the drummer's head. Raise it up a little if you're not getting the coverage of the kit that you need. You also might want to shade it a bit more towards the floor tom, since that's the drum that's usually picked up the least in this setup. Keep in mind that the 2 mic setup works best for small kits like they used in the 60's. If you have a huge Terry Bozzio-like kit with a dozen toms and cymbals, you won't get the result you're looking for with this method. Also keep in mind that the 2 mic method was always used for mono recording where both mics were recorded on a single track, and sometimes, were mixed together with other instruments as well (or even a lot of other instruments, like in the case of Phil Spector's "Wall of Sound"). That doesn't mean that you have to record both mics on the same track, but they were forced to way back when because they didn't have the technology available to them to separate things a bit to balance them later. Remember that a little bit of compression (a couple of dB or so, but add to taste) goes a long way in this setup, helping to balance the kit a bit while moving it forward in the mix. So if you want a simple setup that gets an authentic "classic 60's" drum sound with a minimum of hassle, the 2 mic method is the way it was done. June 6th, 2012 is somewhat historic in that it's the 40th anniversary of the release of David Bowie's seminal The Rise and Fall of Ziggy Stardust and the Spiders From Mars, and the 50th anniversary of the first time that The Beatles stepped into Abbey Road Studios to record. It's also the release date of legendary producer/engineer Ken Scott's memoir Abbey Road To Ziggy Stardust, co-written by yours truly. What's the connection to The Beatles and Bowie? Ken was one of the 5 main Beatles engineers, starting as an assistant on A Hard Day's Night, then working his way up to a full engineer on Magical Mystery Tour and The White Album. As for Bowie, Ken co-produced Ziggy Stardust, as well as his Hunky Dory, Pinups and Alladin Sane albums. But Abbey Road To Ziggy Stardust is about much more than that, as Ken discusses his time doing Beatle solo projects (Lennon's "Give Peace A Chance," Ringo's "It Don't Come Easy," and Harrison's All Things Must Pass), Elton John, Supertramp, The Rolling Stones, Pink Floyd, Devo, Kansas, The Tubes, Duran Duran, Jeff Beck, Mahavishnu Orchestra and many more. If you're curious as to the gear that Ken, The Beatles or Bowie used, Ken's recording and mixing techniques, and the layout and hierarchy of the famous Abbey Road Studio, there's plenty of detail all laid out in convenient sidebars so it can be easily found. But if you're just a fan, there's plenty of juicy never-before-told stories and photos that read like a who's who of the 70's and 80's. I can tell you that even though I helped write the book, I still find it fun and enjoyable to read after being through it dozens of times. It's the next best thing to being there yourself. I hope you'll enjoy it just as much. 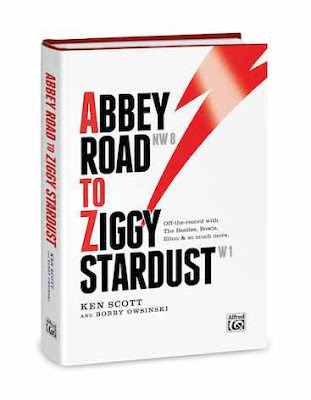 Abbey Road To Ziggy Stardust can now be found at any book store, music store, or online, and will soon be available for Kindle and iPad. If you want to read more about the book and see a full overview of each chapter, go to abbeytoziggy.com. Here's a classic song that's interesting because it's been such an influence on generations of guitar players. 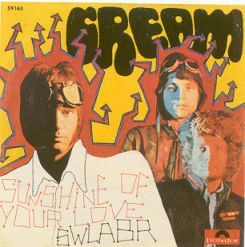 It's "Sunshine of Your Love" by Cream, a song from the band's second album, Disraeli Gears in 1967, and released as a single the following year. "Sunshine of Your Love" was the single that broke the band in the United States, eventually rising to #5, and was the first single to chart higher than in the UK. In 2004 Rolling Stone magazine named it the 65th greatest song of all time, while in 2009 VH1 called it the 44th best hard rock song of all time. Like with all song analysis, we'll look at the song form, the arrangement, the sound and the production. And of course, Atlantic CEO Ahmet Ertegan hated both Jack Bruce (he didn't the bass player should be the lead singer of the band) and the song so it was almost left off the album. It was only included because they didn't have enough material in the end. Leave it to a record exec to want to nix what became their biggest hit! The song begins with the guitar and bass for the first two bars, then is joined by the drums for the next two. Unlike a common pop song, it doesn't feature a signature hook since the bass/guitar riff line is a hook in itself. The interlude is just 2 bars of the verse, and also does not feature a true hook or melody on top of the song's foundation elements. The end of the final verse features an additional two bars with the vocals of bassist Jack Bruce and guitarist Eric Clapton answering each other. According to Bruce, the signature bass riff was inspired by Jimi Hendrix. The lyrics were written by beat poet Pete Brown during an all night writing session. Said Bruce, "I picked up my double bass and played the riff. Pete looked out the window and the sun was coming up. He wrote 'It's getting near dawn, and lights close their tired eyes....'" Clapton later wrote the chorus ("I've been waiting so long, in the sunshine of your love"). Unlike most song lyrics, Brown was a real poet and you can tell, as the words have an elegance that's missing in the majority of hit songs that you'll hear today. This is early rock at its finest in that the song is just the band with a single overdub, and that's the guitar solo. Everything else is the simple three piece power trio that Cream was. The only thing slightly unique is that they had two lead singers, with Bruce and Clapton alternating lines in the verse and singing harmony together in the chorus. This is one of those rare songs that only has 3 arrangement elements occurring at the same time throughout the song. The vast majority of songs may have 3 elements for a portion of the song, but eventually graduate to 4 or even 5. You'll almost never have more than 5 simultaneous elements since that just confuses the listener, and breaks a basic arrangement rule. "Sunshine of Your Love" was recorded by the legendary Tom Dowd at Atlantic Studios in New York City. As with most songs of the era, it's clean, not very compressed, and not very loud, especially when compared with the songs of today. It also doesn't have much low end on the mix, since that wasn't much of a priority at the time. Engineering emphasis of the bass frequencies came about a decade later. The stereo panning is typical 1967, with the drums on the right side and the rhythm guitar on the left. Take note of the long delayed reverb that's prominent on the vocals, and a little less so on the guitar. The drums, in turn, are pretty dry. Jack Bruce's bass is pretty distorted and the amp is obviously miked. There was no such thing as "going direct" back in those days. In fact, direct boxes didn't even come on the scene for another 10 years or so. I must admit, I think that miking the amp is a better way of doing things as it gives the bass player's tone some character. Direct bass tends to all sound the same. Bruce's vocal is also distorted, especially when he really opens up on the B section. It has just a touch of reverb, and you can hear the compressor grabbing a bit, but it's not a bad sound in general. Also listen to all the breath noise in the vocal. If the song was recorded today, that would probably be eliminated, but it does give the vocal a sense of realism and character. Of particular interest is the sound of the guitar solo, which Clapton called his "Women Tone," and came from his 1964 Gibson SG guitar played through a Marshall JTM 100 Model 1957 "Super Lead" amp head and matching 4x12 cabinet. Clapton has explained that the sound came as a result of the tone control of the guitar's neck pickup set to full "off" and the bass, middle and treble controls on the amp set to max. Back in 1967 production consisted more of getting everyone to the studio on time, keeping everyone inspired and choosing the correct take, which is something that producer Felix Pappalardi did well in this case. There is one production piece that was crucial to the song though, by way of engineer Dowd, who went on to a successful career as a producer as well. According to Dowd in his documentary Tom Dowd And The Language Of Music, he explained, "There just wasn't this common ground that they had on so many of the other songs. I said, "Have you ever seen an American Western where the Indian beat - the downbeat - is the beat? Why don't you play that one. Ginger went inside and they started to run the song again. When they started playing that way, all of the parts came together and they were elated." The drum part he's referring to is exceptionally unusual since it revolves around Ginger Baker's toms emphasizing beats 1 and 3 (on most songs it's 2 and 4). There's very little snare drum and the only time you hear cymbals is in choruses and the solo (although you hear them more as the song progresses). Very different for the time, and still very different today. It’s easy to think that getting a good mix is just a matter of pushing up some faders, getting a reasonable balance, adding some effects and your done. Sure, that might work for a rough mix, but there’s a lot more that goes into making a great mix that’s way beyond the basic issue of balance, and these are the things that usually take some experience or a mentor to realize. While it’s so much easier if you watch and listen while a great mixer does his thing, let me point out a number of intangibles that are vitally important to a great mix. Awareness is always the first step in learning, so here are some things to consider before you start to move faders around. It’s really easy to get caught up in just the audio portion of being an engineer, but unless you seriously consider how the music itself is put together (assuming that’s what you’re engineering, of course), your ultimate product probably won’t sound great no matter how good you are at balancing tracks. I’m sure that anyone with a little experience has found that the arrangement is usually the #1 non-audio problem in a mix. In these days of unlimited tracks, it’s all too easy to pile more and more musical elements along with doubles and triples and stacks of everything you can think of. You can easily wind up with a hundred tracks to wade through, and that gives you an impossible task of making it sound like something more than a wad of dense audio goo. A good producer will usually bring some sense to the arrangement, paring things down to where it’s reasonable, but sometimes the producer is the one demanding everything but the kitchen sink be added on. And if the songwriter doesn’t have an innate sense of arrangement (many do, luckily), you’ve got a mess on your hands. 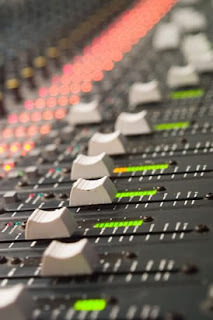 That’s why it’s important that the mixing engineer be aware of some basic music arrangement principles, because a big part of being a mixing engineer is knowing when to mute things and knowing just what elements take precedence at a certain part of the tune. Good balance actually starts with good arrangement, so it’s important to understand arrangement because so much of mixing is actually subtractive by nature. This means that the arrangement, and therefore the balance, is changed by the simple act of muting or lowering the level of an instrument whose part doesn’t fit well with another. If the instruments fit well together arrangement-wise and don’t fight one another, then your life as a mixer just became immensely easier. Every song has something that’s the main point of interest or something so compelling that you can’t take your ears off it (if it doesn’t, send the song back to the drawing board. It’s not complete). Although having control over how the previous five elements appear may be sufficient for many types of audio jobs, and might be just fine to get a decent mix, most popular music requires a mix that can take the song to another level. 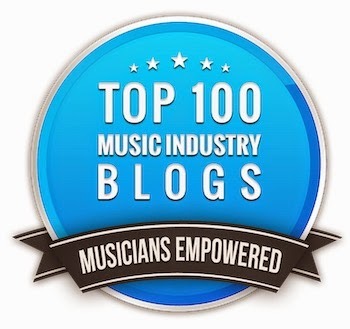 Although it’s always easier with great tracks, solid arrangements and spectacular playing, a great mix can take simply OK tracks and transform them into hit material so compelling that people can’t get enough of it. It’s been done on some of your favorite all-time songs. So how can we get to that point? More than being just technically correct, a mix must be as interesting as a good movie. It must build to a climax while having points of tension and release to keep the listener subconsciously involved. Just as a film looks bigger than life, a great mix must sound bigger than real life. The passion and the emotion must be on a level where the listener is sucked in and forced to listen. And the way to do that? Find whatever element is the most important to the song. In some cases (like Dance and Rap music), the most important element is the groove. Yet in other genres (like Country), it’s the vocal. It Rock and Pop it might be a signature line or hook. Even though the most important element is often the lead vocal, it doesn’t necessarily have to be. It could be a riff like from The Stone’s Satisfaction and Start Me Up or the intro to Coldplay’s Clocks or the rhythm on the verses of The Arctic Monkey’s I Bet You Look Good On The Dancefloor. It’s always a part so compelling that it forces you to listen to the song. Whatever part is most important, the mixer must identify it and emphasize it in the mix in order for the mix to be elevated beyond the ordinary. You can learn more about mixing either in The Mixing Engineer's Handbook or my Lynda.com Audio Mixing Bootcamp video course. Editing MIDI In Pro Tools - Do You Know How To Control the Docked MIDI Editor Using Keyboard Shortcuts?